Meeting date: Usually on the 2nd Wednesday of the month. The Oakville Chapter historically does not meet in July and August. Please check in with the current Chapter Head/Director each year, as this may vary from year to year. Time: From 7pm to 9pm - 2 hours with approximately a 10 minute break to network. * Members are encouraged to meet, discuss and learn from other members. Place: Oakville Town Hall, 1225 Trafalgar Road, Oakville ON. Room location may vary from meeting to meeting. 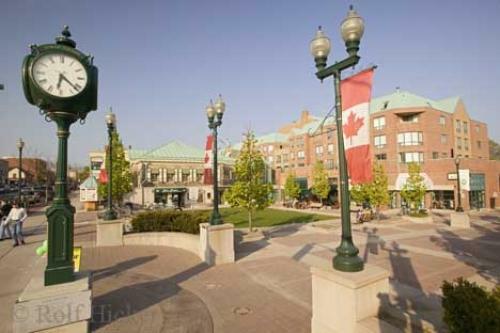 The Oakville Chapter email list has over 100 members. Approximately 3/4 are CSTA members. The Technical Analysis experience of the membership varies widely, from professionals with CMT designations using TA daily, to those just learning about TA. The Oakville Chapter is among one of the most active groups within the CSTA collective Chapters because of it's proximity within the GTA and financial services industry base in the immediate area. Meetings are well attended by between 20-50 people per meeting. Meeting size varies based on the group's interest in meeting topic and speaker. The Oakville Chapter is fortunate to have many experienced members that are willing to share and present their work and experiences with the membership. We have been very fortunate to have such knowledgeable presenters within the GTA that continue to graciously share their knowledge. The membership is also very well connected to the local and national Trading, Investing and Technical Analysis community and have many industry contacts. Some recent local favourite speakers include Don Vialoux, Brooke Thackray, Jeff Parent, Hap Sneddon, David Chapman, among many others. We have had speakers travel from Vancouver and the United States combining their presentation to the Oakville Chapter with other business in the GTA. The meetings have one or two presenters, depending on the length of primary presenters' presentation. Along with learning new Technical Analysis concepts, the practical application of the techniques is stressed. Presenters are asked to include "take home" Technical Analysis techniques that members of varying skill can immediately try at home, and hopefully incorporate into their own "Technical Analysis Tool Box". 3. An internal group meeting where a formal topic is presented (headed either by the Chapter Head/Director or another group member), or, a discussion topic covered followed by open discussion, Q&A and some networking time with other members. Time and topic permitting, we will open up and review live charts to analyze the previous month's activity of specific markets of interest, the current activity or InterMarket relationships and try to figure out as a group where that market has been and "where the right hand side of the chart" might develop, based on Technical Analysis concepts and techniques learned. Cost: Meetings are free to CSTA Members (and Students and 1st time guests), $20 to repeat non CSTA-members (on the honour system). *Members are encouraged to register for all Chapter meetings they attend - for event planning purposes. Members that do not register may not be guaranteed seating at meetings. Digital copies of presentations, where provided by some guest speakers/presenters, will only be sent to those that register for meetings. (Also, as a history of "invoices" are maintained for each member on the CSTA website, members who register can also review past meetings they've registered for.) In other words, please pre-register for all upcoming meetings and events so we know to expect you in advance! Thank you.